Singapore is one of the few places where you can get the best of both worlds. Whether you want a taste of luxurious life or a genuine cultural experience, Singapore has it all. Just located north of the equator, Singapore is a common first stop among travelers before they embark on their Asian adventure. However, this country is more than just a short stopover. Read on as we delve into this charming country, its history, culture and interesting facts below. Located at the south part of Malay Peninsula, just around 85 miles from the equator, Singapore is a diamond-shaped island with 60 smaller islets. Its surrounding islands include Pulau Ubin, Sisters’ Island, and Sentosa, among many more. Its major island is separated from Malaysia by the Johor Strait, a channel around half a mile long, and its southern part runs through the Singapore Strait. Singapore is one of the world’s busiest nation. It was once a colony of Britain and is now a member of Commonwealth. The country initially joined Malaysia in 1963 on its formation, and it became an independent nation in 1965. Its main island is just 15 meters above sea level and its highest mountain, Timah Hill, is 162 meters. It has been dubbed by many people as a City in a Garden due to the amazing fusion of modern architecture and forests. The nation boasts approximately 300 parks and 4 nature reserves, in addition to countless green spaces. Furthermore, it offers a excellent blend of West and East culture. Singapore was described in Chinese historical records as Pu-Luo-Chung, which means the island at the peninsula’s end. Then, it was called Temasek from 1298 to 1299 AD. Legends also indicate that a prince saw an animal in this nation which he had never seen before. He then named it Singapura or the Lion City. The journey of modern Singapore started in the 19th century. This was largely influenced by Sir Thomas Stamford Raffles. Raffles was a Lieutenant-Governor of Sumatra first landed in Singapore in 1819 and established a trading station in the area. Because of its success, it quickly attracted many immigrants from India, China, and Malay. Singapore was deeply affected by World War II when it was attacked by Japanese forces in 1941. Although they were not outnumbered, British forces surrendered to the Japanese in 1942. This was known as the biggest surrender of British forces in history. When the Japanese lost World War II, Singapore was once again controlled by the British Military Administration. Lee Kuan Yew became the country’s first prime minister in 1959. Malaysia was then formed in 1963 and its territories included Sarawak, North Borneo, Malaya, and Singapore. The move was made to build closer ties. However, this merger was unsuccessful and Singapore decided to leave Malaysia in 1965 to become an independent nation. Singapore used to be one of the premier trading spots in the British empire. In the 1960s, its economy grew rapidly thanks to its industrial and financial scene. Now, the nation is known as one of the most successful economies in Asia. Singapore follows unitary parliament democracy and is patterned from the Westminster system. It has three separate branches namely the Executive, Legislature, and Judiciary. The President is its head of the state, and the Prime Minister is the head of its government. 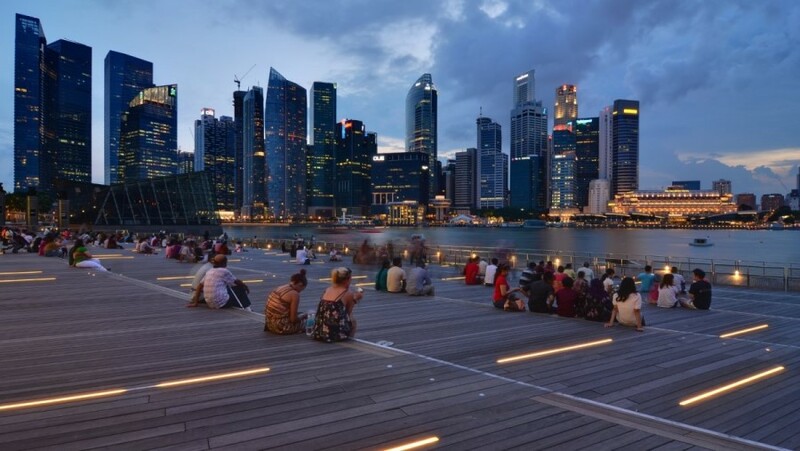 Singapore is one of the most diverse countries in the world. This diversity resulted from past migrations. Chinese people make up around three-fourths of its population. Over two-fifths of the Chinese population came from Fujian province, and one-fourth are from Teochew. Malays and Indians are also two of Singapore’s largest groups. Due to the country’s diversity, people speak Malay, Mandarin, Chinese, Tamil, and English. However, English is the major languages used in its industries, commerce, and administration. It is also the language used in schools. Additionally, the use of Chinese is also promoted in the country, and one-third of schools teach using it. Malay is one of the most commonly spoken languages in the country and is used among many ethnic groups. The diversity of Singapore is mirrored in its religions. Around two-thirds of Chinese follow Buddhism, Confucianism, or Daoism. Indians and Malays are mostly Islam, and the number of Christians is also increasing. Another common religion in the country is Hinduism. Want to know the national anthem of Singapore? Just grab its $1000 bill and a magnifying glass because it is written in the bill itself. Just flip the bill and you can clearly see its lyrics. Singapore is buying too much sand from Asian countries such as Vietnam, Cambodia, and Malaysia. This has resulted in many protests after huge ships filled with sand were shipped to Singapore. Singapore loves toilets. In fact, it tabled a resolution in the UN which celebrates World Toilet Day every 19th of November, along with over 100 more countries. The World Toilet Organization was also formed in Singapore in 2001. 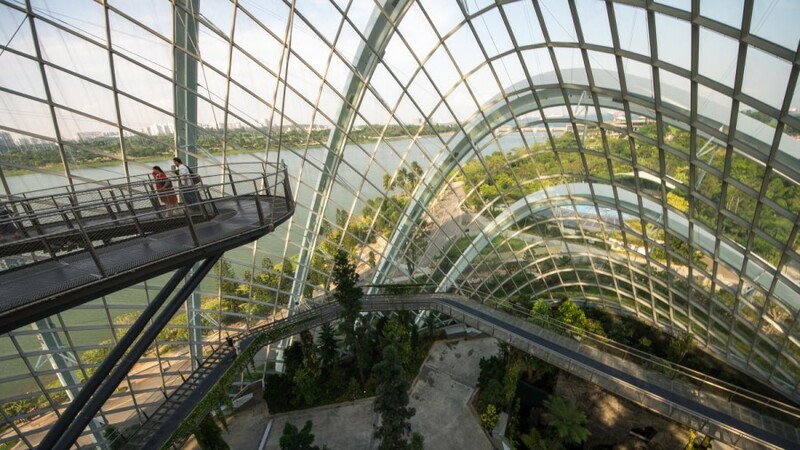 Gardens by the Bay is one of Singapore’s top tourist hubs. It is a collection of three public gardens which are now managed by an independent organization. It is home to over 2,000 species of more than 1,500,000 plants. Each of its 18 supertrees alone is covered by 163,000 plants. It even won the World Building of the Year award in the World Architecture Festival. 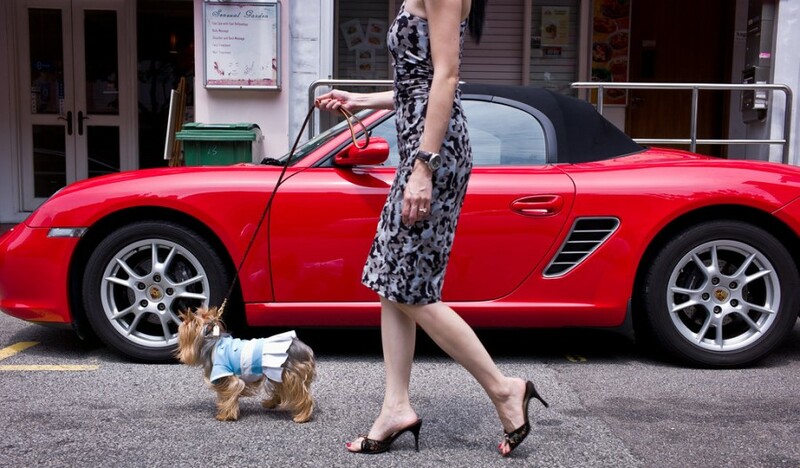 Singapore pedestrians were hailed as the world’s fastest movers. According to a study, they walked 30% faster than they did in the 1990s. If you like gum, you might want to skip Singapore. This is because chewing gum has been banned in the country since 1992. An exemption has been made for dental and therapeutic purposes. Additionally, people can buy gum from a registered pharmacist or doctor. For visiting tourists, they can bring two packs of chewing gum. Aside from banning gum, it also banned litter, spitting, graffiti, expelling mucus from one’s nose, and urination outside toilets. These bans were made in an effort to make Singapore clean. If you love cultured milk drinks, Singapore will be your new favorite place. 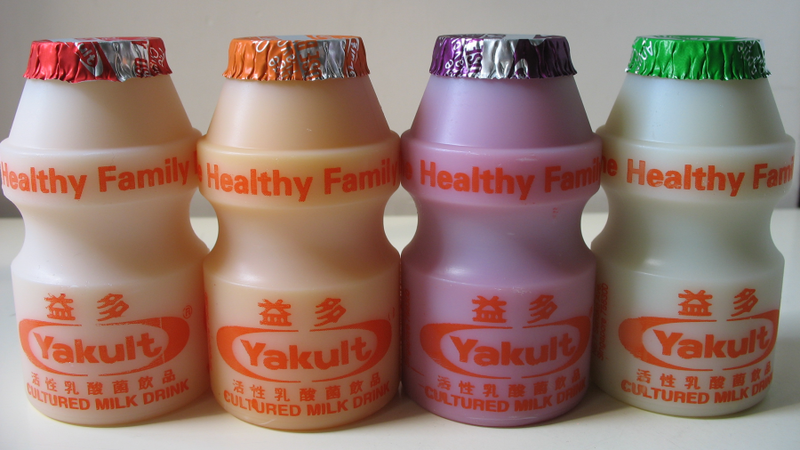 Here, they offer people the biggest bottles of Yakult. Furthermore, it is the only country which sells grape, apple, and orange flavors of the beloved probiotics drink. According to legends, one of its islands, Pulau Ubin, was formed due to a frog, elephant, and a pig. These animals challenged each other on who could reach the Johor shore first. However, they all failed and were turned into a rock. Singapore Zoo is a paradise in its own right. It is as big as 23 football fields and is the premier zoo in Asia. It attracts over 1.7 million visitors each year. Additionally, the zoo also boasts a Night Safari, which has over 2,500 animals. Aside from wildlife, there is also a wide range of night-blooming flowers such as butterfly ginger and orange blossoms. Despite its small size, Singapore is one of the most exciting places you can visit. The successful nation is more than its picturesque skyline filled with towering buildings. Once you get past its surface, you will understand that it is the perfect place to be for culture buffs, adventurers, and even nature lovers. The possibilities are truly endless in this multicultural nation. NextUnpacking Fear: Why Do Japanese Horror Movies Work?